From the editor of The New Yorker: a riveting account of the collapse of the Soviet Union, which has become the standard book on the subject. 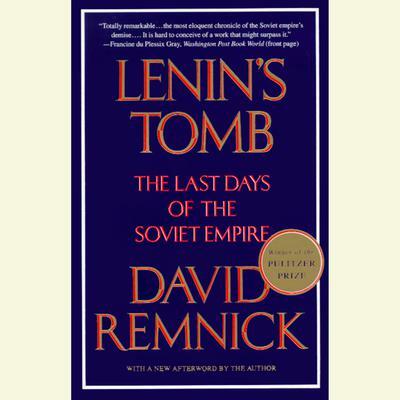 Lenin’s Tomb combines the global vision of the best historical scholarship with the immediacy of eyewitness journalism. Remnick takes us through the tumultuous 75-year period of Communist rule leading up to the collapse and gives us the voices of those who lived through it, from democratic activists to Party members, from anti-Semites to Holocaust survivors, from Gorbachev to Yeltsin to Sakharov. An extraordinary history of an empire undone, Lenin’s Tomb stands as essential reading for our times.